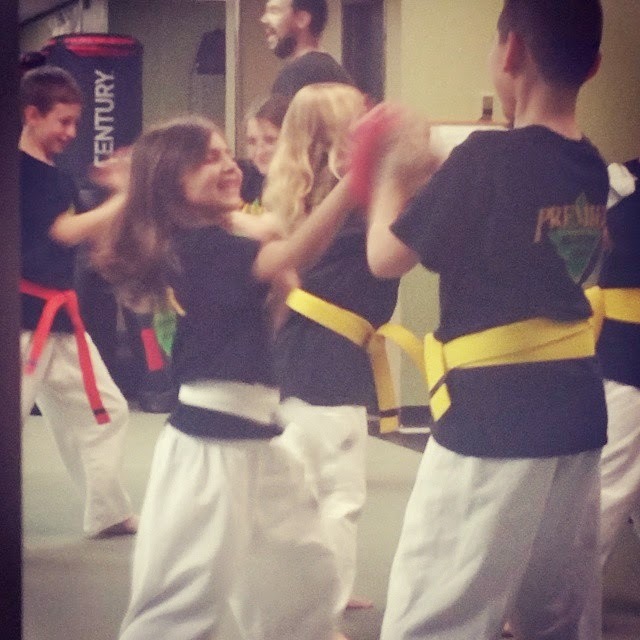 Thursday night Bella had her karate class. Halfway through class she decided she didn't want her hair up anymore and proceeded to pull out her ponytail and let it flow. Little did she know she would be punching and her hair would fly everywhere! Can you tell she really doesn't mind though?! 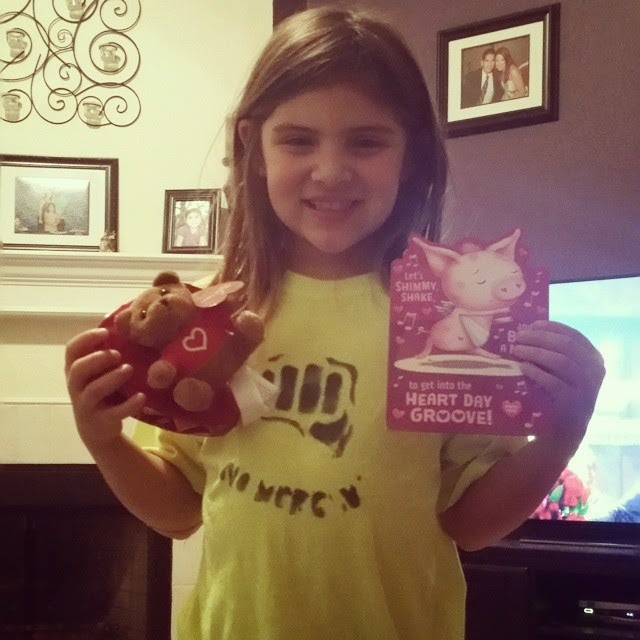 Friday night The Hubs decided to give Bella and I our Valentine's. We really don't celebrate the holiday much at all, but he's not stupid and knows a card and candy will do just fine and keep him out of the dog house. Saturday we had some errands to run all morning, then met up with friends for a very late lunch. This is my idea of a perfect Valentine's! 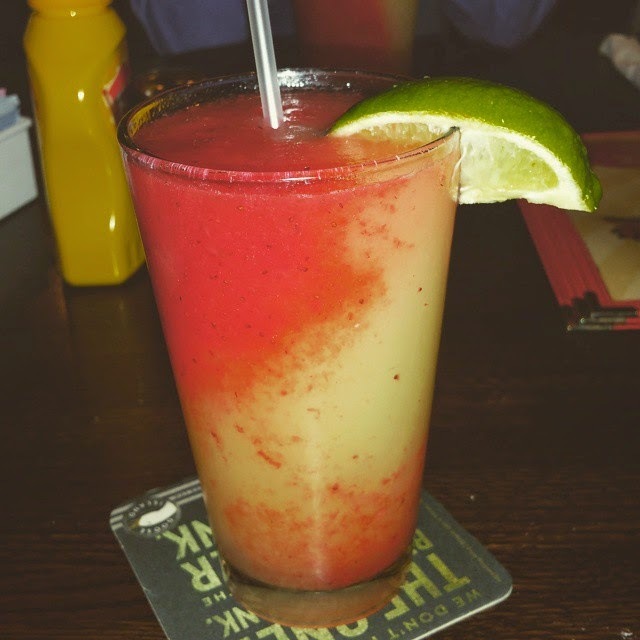 Swirl Margaritas from Big Daddy's. Yum!! Sunday we went to visit my sister in law and her new baby boy. 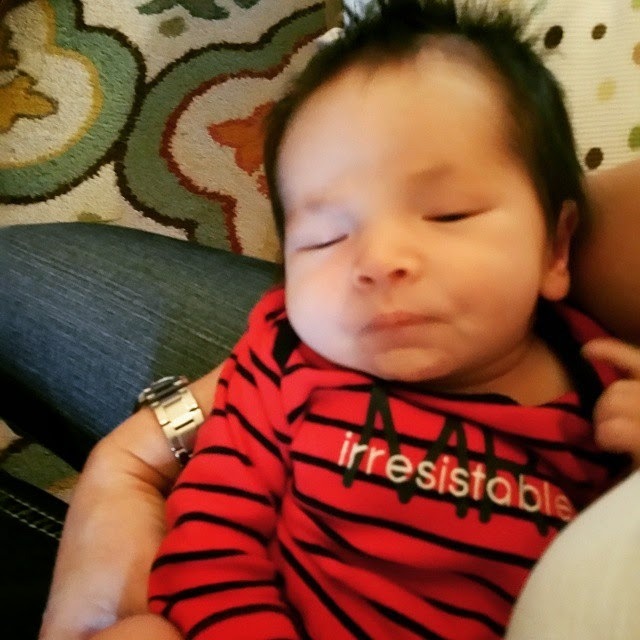 He's 2 weeks old now and so adorable! I'm definitely in love with that little one. Such a fun weekend with gorgeous weather. Now it's back to the grind!